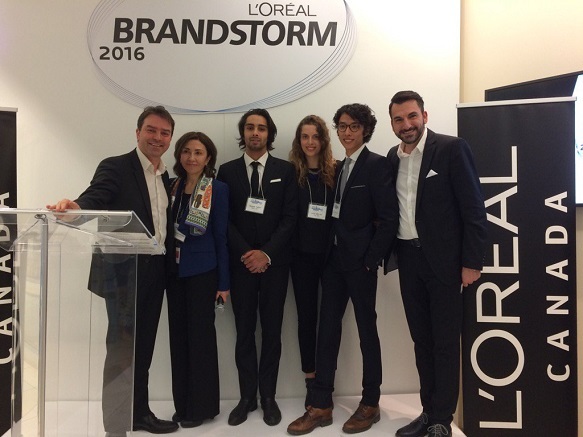 Two teams of HEC Montréal BBA students made the podium in the L’Oréal Brandstorm Canadian finals, on March 30. The RISE team, made up of Justine Hutteau, Catherine St-Pierre and Patrick Yoo, took second place, while third place went to Célia Bellec, Alexandre Kita and Imran Shayne Tabet, from the ENSO team. For this brand management simulation, the six students, coached by Professor Sandra Laporte (Marketing), had to become real product managers. To demonstrate their creativity and potential, they also worked with teams from L’Oréal Canada and its communications agencies. Note that 16 other HEC Montréal teams took part in the competition. 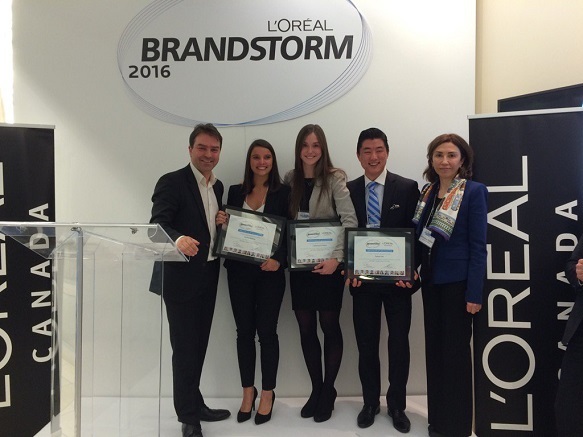 Frank Kollmar, President and CEO, L’Oréal Canada, with the second-place team of Justine Hutteau, Catherine St-Pierre and Patrick Yoo, and Dominique Soussan, President, Active Cosmetics Division, L’Oréal Canada. Frank Kollmar, Dominique Soussan, the third-place team of Imran Shayne Tabet, Célia Bellec and Alexandre Kita, and Alain Tadros, President, Publicis Montréal.